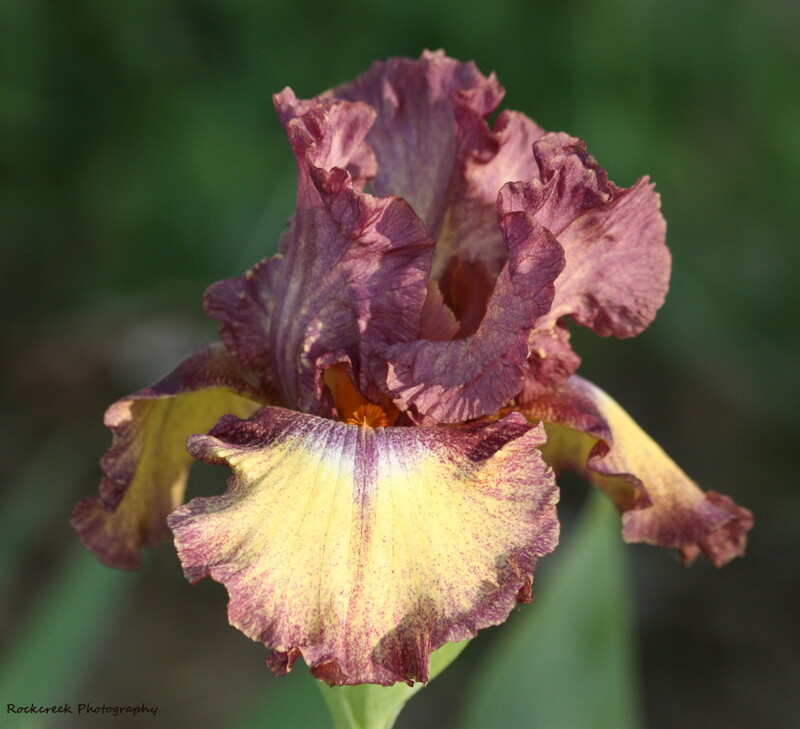 Yvonne writes about and photographs the flora and fauna of Louisiana, sharing knowledge she learned through study and personal experience. As the days begin to grow shorter in late August and September, another of our favorite native flowering perennials, the Asters, begin putting on a show. A variety of colorful and hardy Asters are native to Louisiana and the Gulf Coastal region. We grow many varieties in our garden, including: the white flowered, Fall Aster (Aster ericoides), the tall bluish-purple flowers of Aster praealtus and the beautiful lavender Savanna Aster (Symphyotrichum chapmanii). All are very easy to grow and will come back year after year. Members of the Aster family also attract pollinators, including several species of butterflies, honeybees and native bees. The seed heads are very attractive and add a bit of interest to the winter landscape. Most of the wildflower photos on this page were taken by the author in her 9-acre backyard habitat. 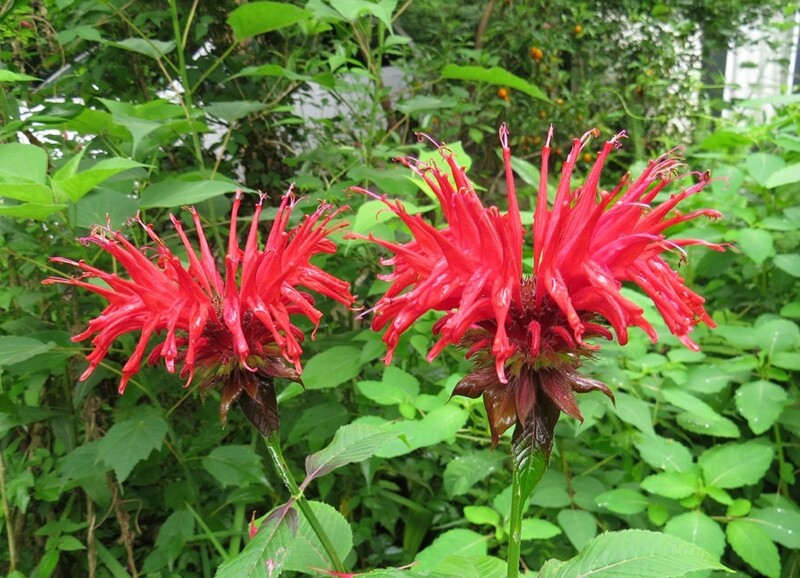 Have you tried incorporating wildflowers into your landscape? 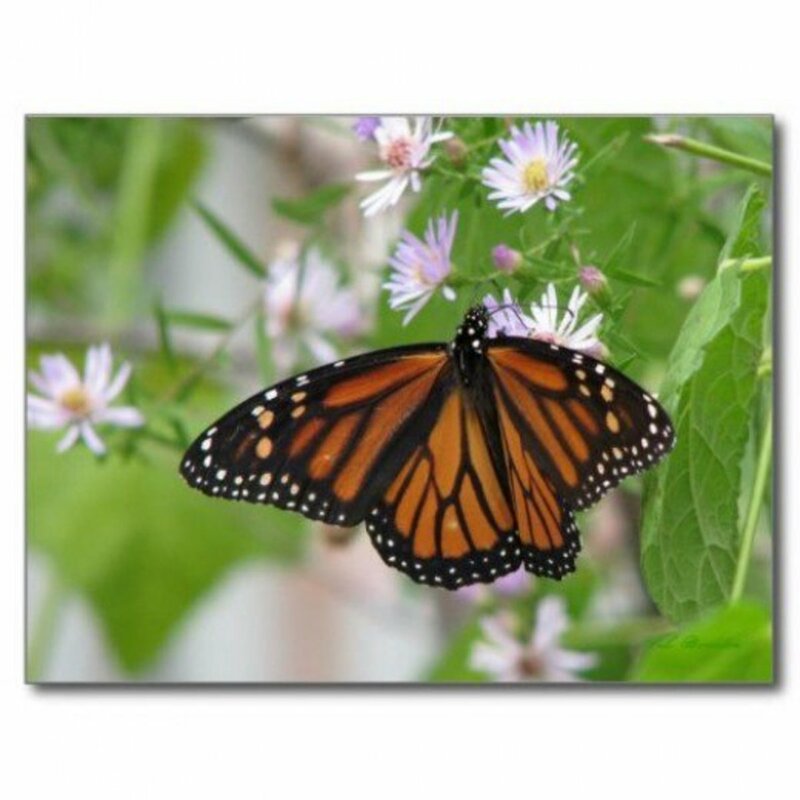 Yes indeed - wildflowers are hardy, drought tolerant, low maintenance and attract butterflies. Why No - I didn't think wildflowers were attractive enough for my yard. Never going to happen. I don't like weeds. These many branched plants grow 24 to 30 inches tall and some will stand erect and some will recline. The white flowers are small (only 1/2 inch wide) but occur in large clusters that will cover the plant. They occur throughout Louisiana, Texas, Arkansas and Mississippi from September into November. A wonderful book of wildflowers of the Gulf Coast region that is great for the beginner. The flowers are arranged by color and both the photographs and descriptions are excellent. It's one of my favorites. 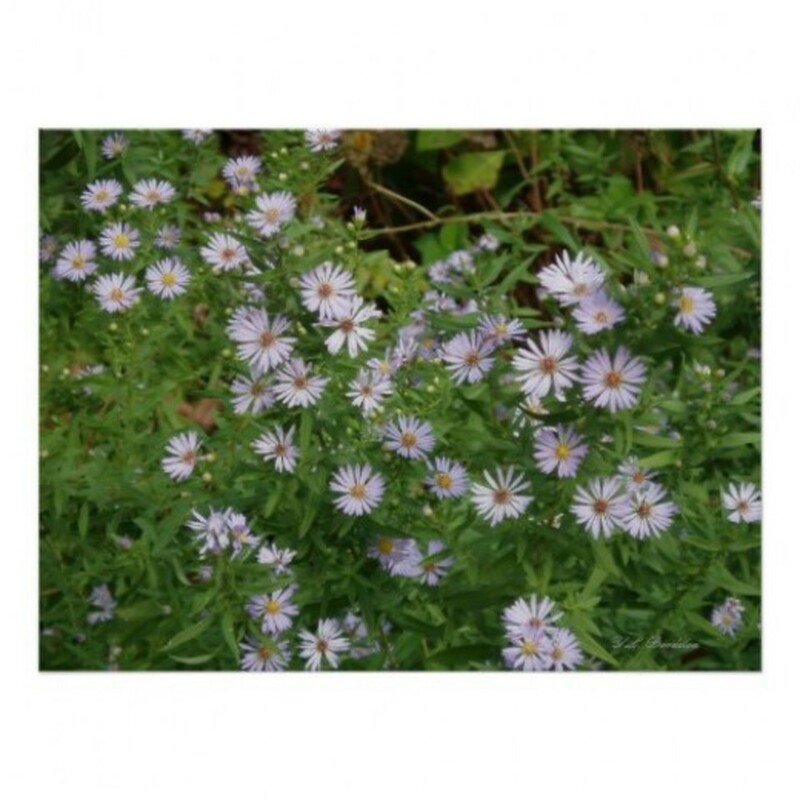 Aster praealtus is a tall (up to 8 feet), beautiful bluish lavender perennial that grows in large colonies. The individual flowers are larger than those of the fall aster and the profusion of blooms on the 6 to 8 ft. plants is a sight to behold. 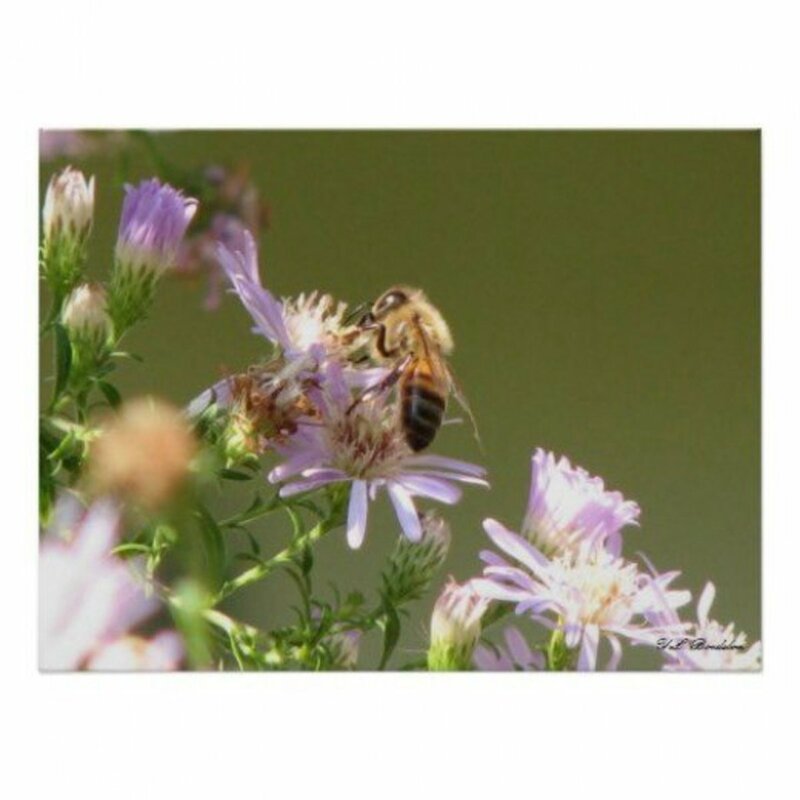 Honeybees and many types of native bees visit a single wild aster blossom to gather nectar and pollen. 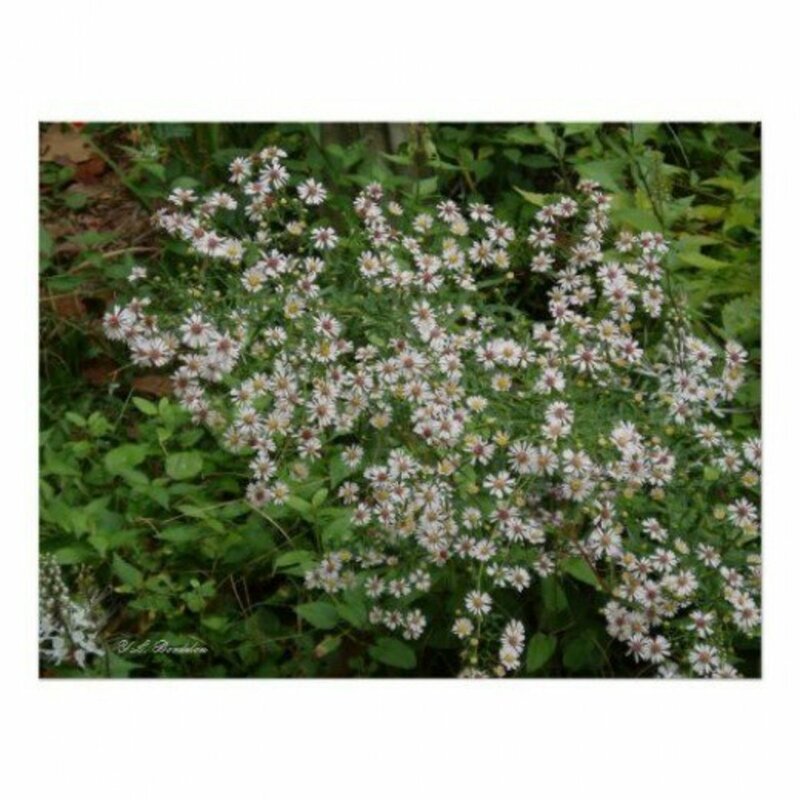 The lovely Savanna Aster is a perennial herb that grows 1-3 feet tall in erect to arching stems which are divided into several slender branches. 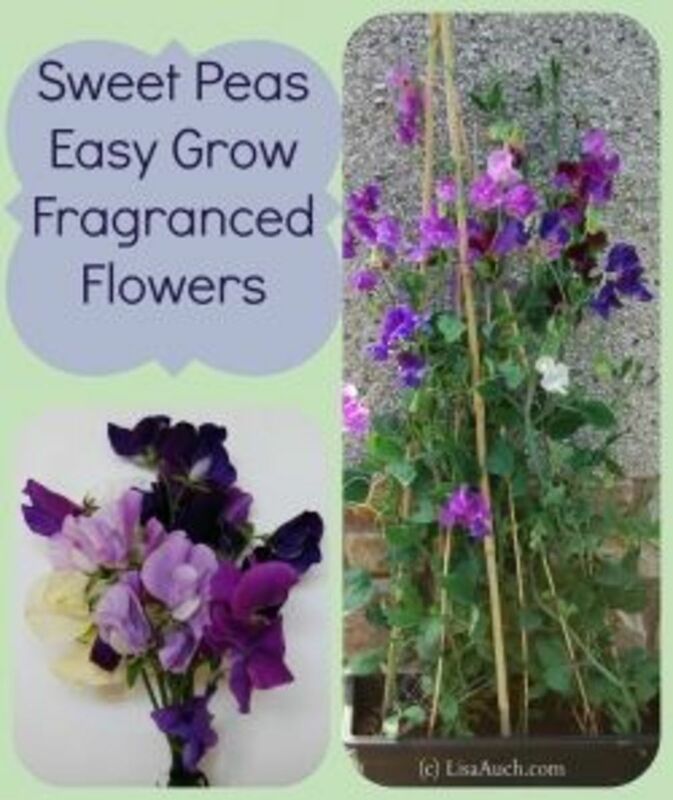 Each branch ends with a single blue to purple 1 1/2 inch flower having up to 21 rays on a brownish central head. 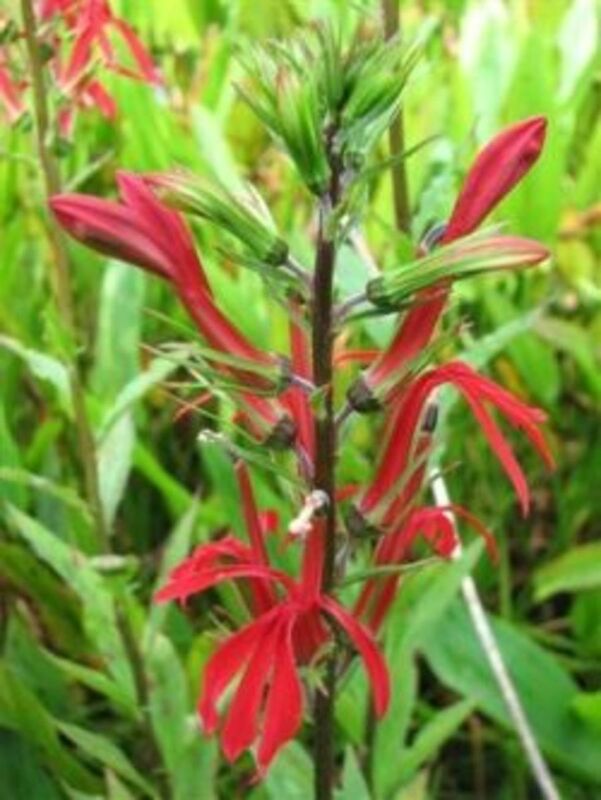 The basal leaves are about 12 inches long and narrow. They bloom from August through November in flatwoods, bogs and savannas. 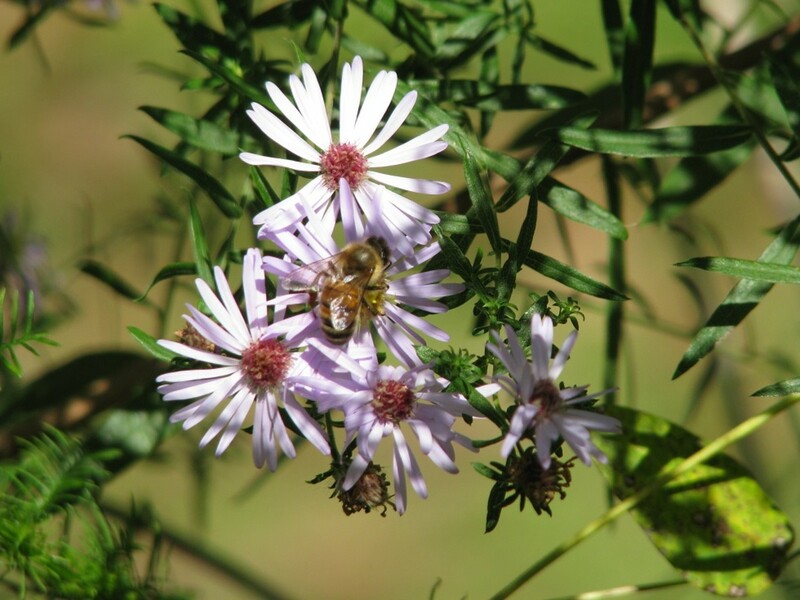 Besides being beautiful additions to the fall garden, native Asters attract pollinators which are so important for our fruit orchards and vegetable gardens. With the recent decline in pollinators, this reason alone is enough to encourage their use in the landscape. 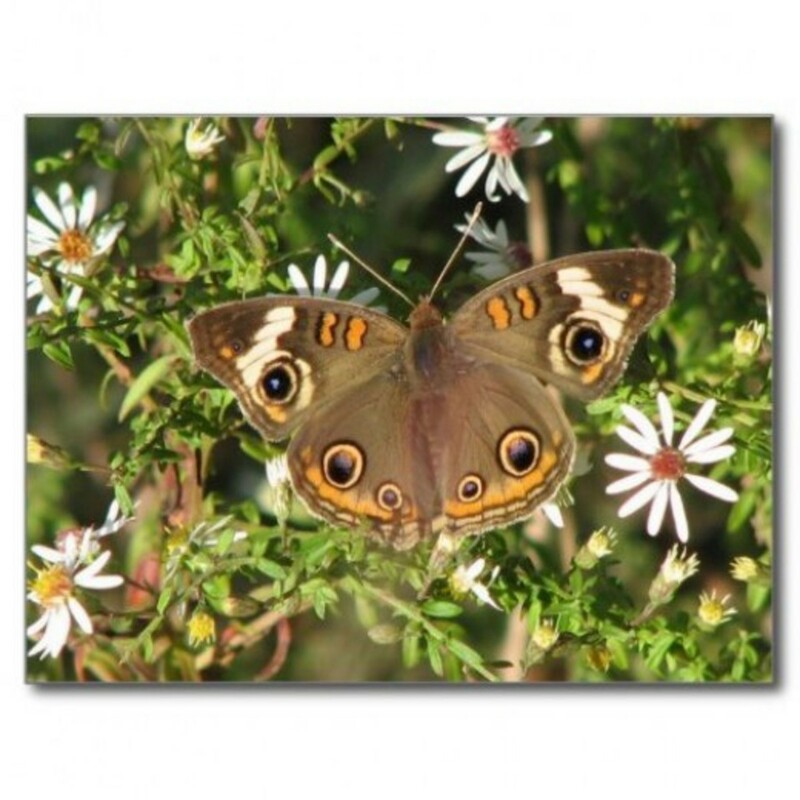 If you are using organic pest control, Asters and other small composite flowers, will help here, too. Several "assassin" insects and wasps visit these flowers and will help you by eating some of the insect pests in your garden. 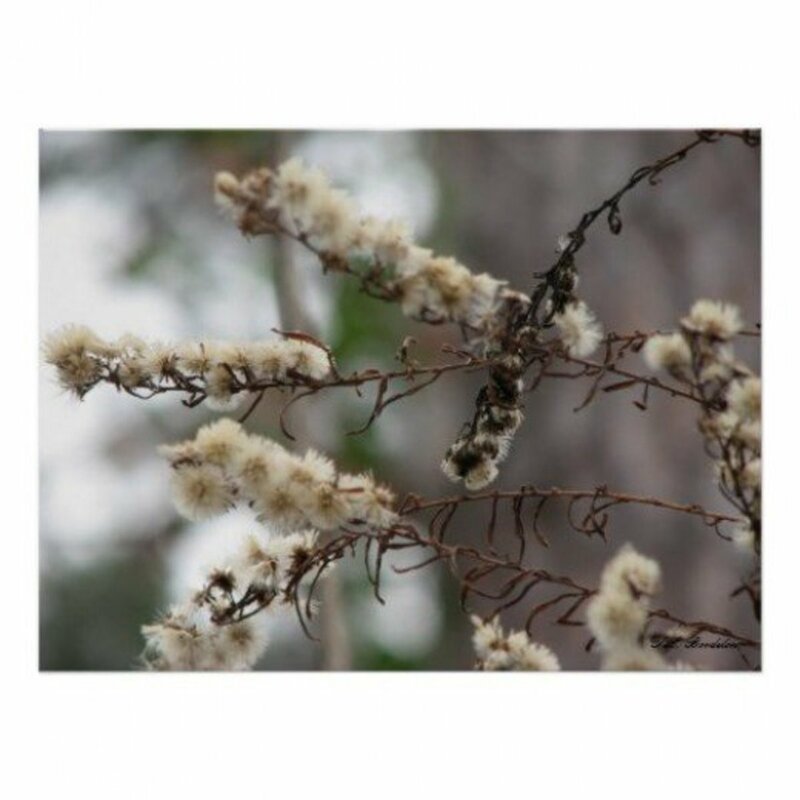 Seed heads of Asters are attractive in the winter landscape and are eaten by small songbirds. Asters grow well in sun to part shade in acid soil. Aster praealtus can be pruned until June 1 to form a bushy shape. Aster ericoides can take more shade and moist conditions. Propagate by root division or seed. The seeds will self sow or you can sprinkle them around where you'd like them to grow. We used Canon Powershot (S3 and S5) cameras to take most of the photographs on this page. These are great little cameras with many excellent features. We especially like the macro and super macro settings for closeups and the 12X to 48X zoom. Now we have upgraded to the SX50 HS and we love, love love it. It takes great close ups and zooms in well, too. They are also reasonably priced. Beautiful native Indian pink deserves a place in any garden. 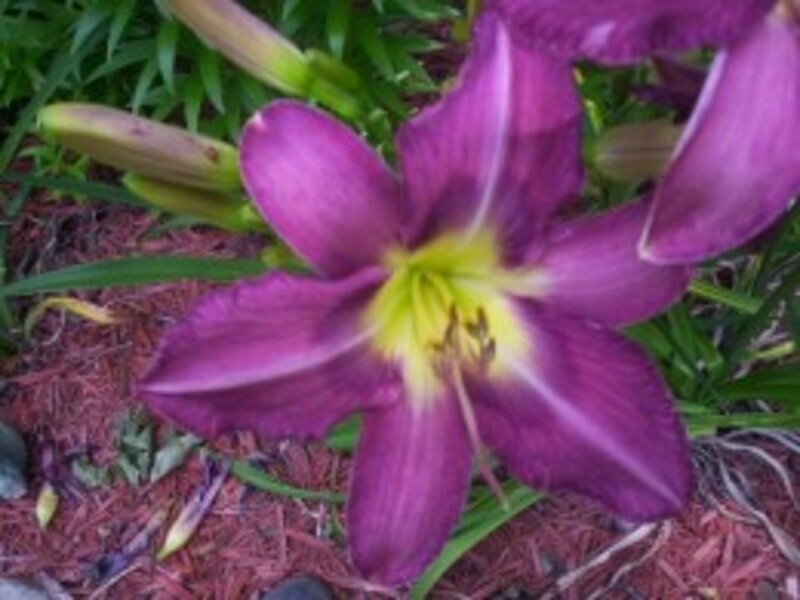 It attracts hummingbirds and other pollinators and is a joy to behold. Tell us about your fall wildflowers or just leave a note. Great pictures, and I see you have your favorite asters. They are beautiful flowers and I love the look of asters. They remind me of the chubby hand of a child reaching out to pick a flower for their mom. Wild asters are in bloom right now in our prairie yard. They are beautiful. This looks fantastic! I love the photos you have! @Tyla MacAllister: We use a Canon Powershot S5IS camera. It has a fabulous macro and super macro feature, plus a 12X to 48X zoom and many other good features. We set it on the P setting. It's not that expensive either. It's not really fall if the asters aren't blooming I just love asters and all the beautiful pollinators they bring. BTW,I live in Northeast Alabama and all the native asters in this lens grow near my home. Some of the white ones are still blooming now (the middle of November) because we haven't had much frost yet. Your photos are just fabulous! Bees and flowers are my favorite photo subjects but my images don't compare to yours. Hopefully,practice will make perfect. Beautiful photos. Love the bees on the flowers. Blessed. Beautiful pictures. Asters are great, blooming when many other things are past. Blessed. Great pictures! Love that macro with butterfly! :) Blessed by an Angel! Beautiful loooking lens. We don't have much wildflowers around here, mostly grass (the area we live in is sandy). Great photography and setup on this lens as usual, very well done. Squid Angel blessed! Love those pictures of asters. Beautiful wild asters! Blessed by a joyful SquidAngel! Beautiful lens - I felt like I was walking in a field. ***** and a favorite. 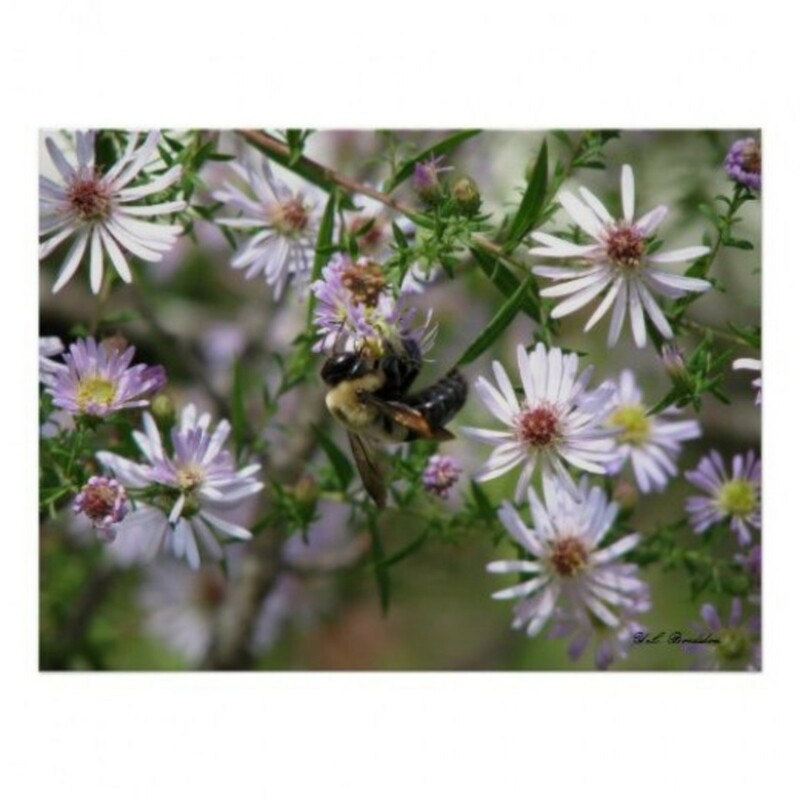 What gorgeous photos of the Asters and great information too. I love wildflowers. Your amazing photography is so wonderful on your products. I really enjoyed this lens as I love any wildflower. 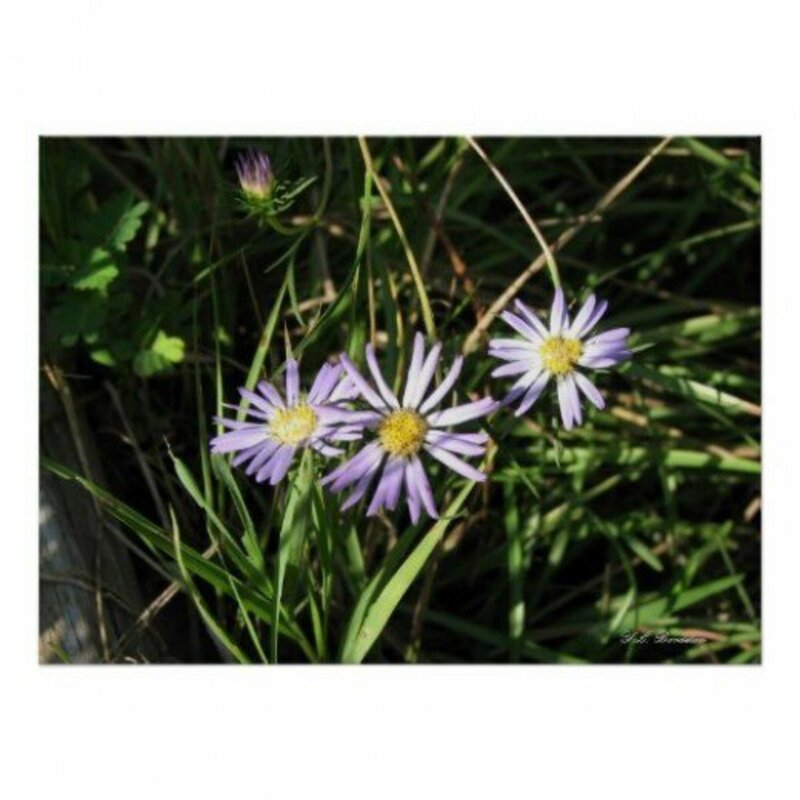 You have truly captured the beauty of the Wild Asters.